role and deficiency symptoms (hunger signs) of various elements. Absorption and transport of mineral salts by contact exchange theory and carbonic acid exchange theory; active absorption by carrier ion complex formation. 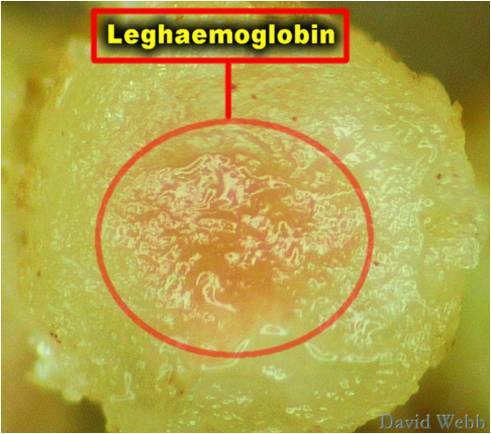 Brief idea of nodule formation and nitrogen fixation and nitrogen-fixing organisms; importance of leghaemoglobin pigment should be discussed. 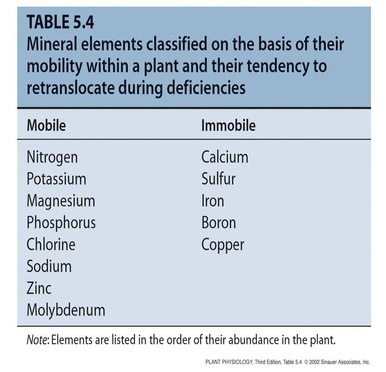 The process involving the absorption and utilization of various minerals ions by plants for their growth and development is called mineral nutrition. Chemical composition of plant can be analyse by following way. Uproot a plant and wash down the soil particles sticking to the roots.Weigh the entire plant. This weight is called fresh weight of the plant. Dry this plant in oven at 100-110 degree celsius to remove the water that forms the major constituent of the plant body. When an oven-dried plant material is ignited at 400-600 degree C, all the organic materials are oxidized and incombustible matter remains as plant ash. When this ash was analysed it was found to contain 40 elements besides C, H, O, N and S which were oxidized. 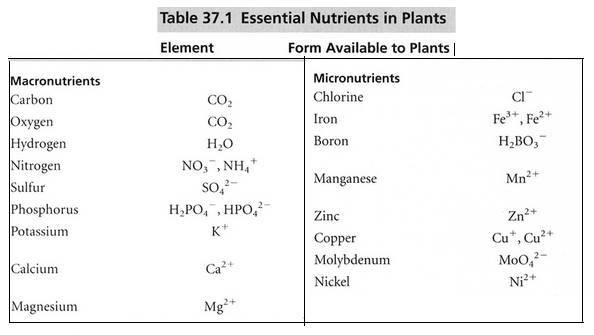 All these are not essential for plant nutrition but on analysis the important essential elements have been identified and based on their role in plant metabolism and requirement, they have been classified as major elements and trace elements. If an element satisfies given three criteria it is said to be essential and if not it is a non essential element. Out of the 30 elements universally present in all plants, 16 are essential and the rest are non-essential. The element must be absolutely necessary for the normal growth of the plant and its reproduction. The requirement of the element must be specific and not replaceable by another element. The element must play a direct role in the metabolism of the plant. Components of plant body and protoplast. The study of the importance of mineral nutrients required by plants and there individual deficiency symptoms is done with the help of Watter culture or soil culture. 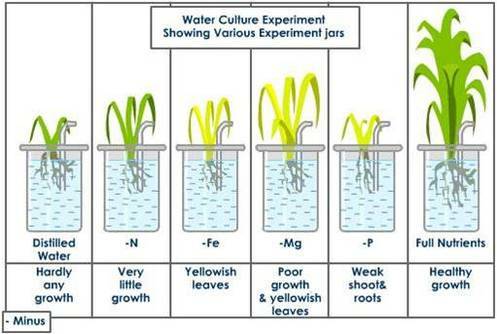 To study the effect of deficiency of an element, that particular element is omitted from standard culture solution and plant is grown in it. This is compared with control culture solution. Due to deficiency of particular mineral plant shows deficiency symptoms which are known as hunger sign. 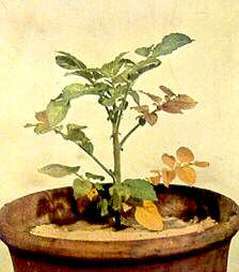 The cultivation of plants in a nutrient-rich solution, rather than in soil, and under controlled conditions of light, temperature, and humidity. Also called aquaculture. 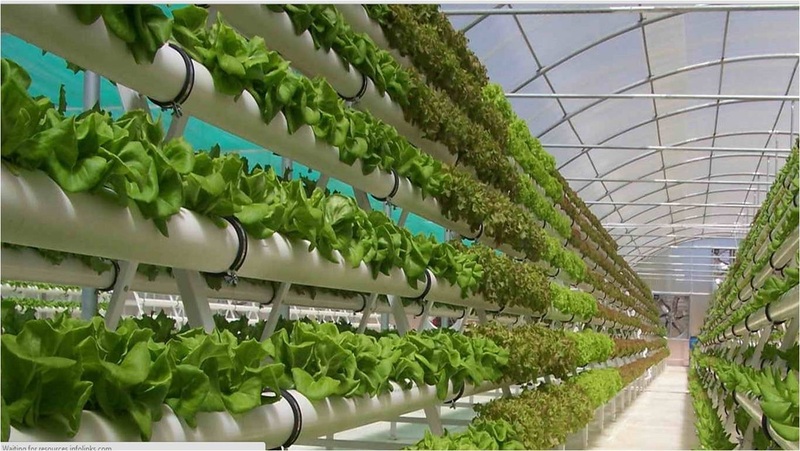 Commercially hydroponic cultures are maintained in large shallow concrete, cement, wood or metal tanks in which gravel and nutrient solutions are taken. The tanks are provided with pumps and empty auxiliary tanks to pump out and circulate the growth solution and to maintain proper aeration of the nutrient solution. This method may be used to increase yield of ornamentals such as gladioli, snapdragon, roses and vegetables such as carrot, radish, potatoes, tomatoes and lettuce. It is possible to provide the desired nutrient environment. The acid-base balance can be easily maintained. Mulching, changing of soil and weeding are eliminated. Proper aeration of nutrient solution is possible. Labour for watering of plants can be avoided. Production is limited when compared to field conditions. Technical skill is required to design equipment. If a disease appears all plants in the container will be affected. 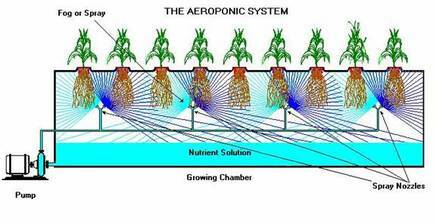 Aeroponics is a system where roots of a plant are suspended into a plastic vessel and misted with a oxygenic nutrient- enriched water. 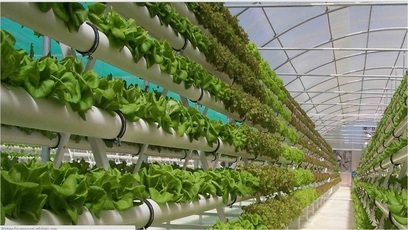 The plants are usually suspended through baskets towards the top of a shut trough or cylinder. 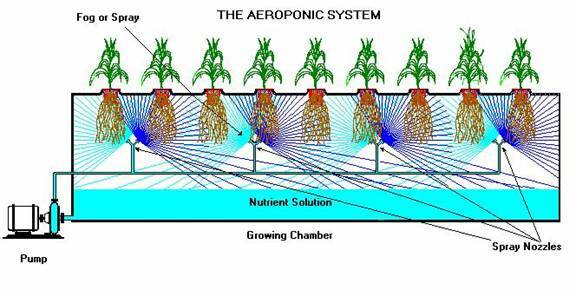 With the actual plants suspended in this way, all important nourishment could be provided towards the roots through spraying them with a nutrient solution. Since the actual roots tend to be suspended in midair, they receive the most of air possible. This process is also probably the most nutrient-efficient and any kind of nutrient that isn't absorbed is actually drained back to the tank. In this process, the plants are cultivated in sand enriched with nutrient solution. The sand after being washed with acid and then distilled water is filled in suitable containers. Nutrient solution is added to sand from time to time. The sand culture is preferred over solution culture as its provides natural aerated conditions. Highly alkaline soil need to be treated with acid before use. The sand get too warm in summer and too cold during winter. Growth normal; foliage healthy green color. 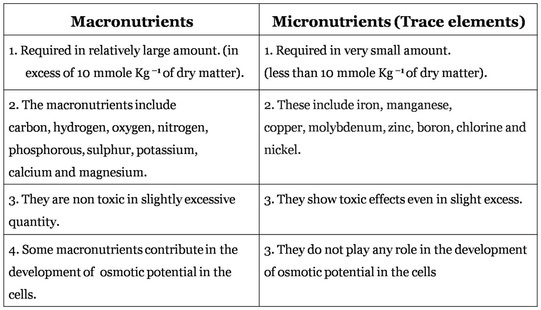 Deficiency of the mineral results into certain morphological abnormalities. Any visible deviation from the normal structure and function of the plant is called a symptom. Stunting: The growth is retarded. The Stem appears condensed and short. Chlorosis: It is the loss of chlorophyll resulting in the yellowing of leaves. Necrosis: Localized death of tissues of leaves. Mottling: Appearances of patches of green and non green on the leaves. Leaf curles: Abnormal curling of leaves due to unequal growth. Abscission: Premature fall of flowers, fruits and leaves. 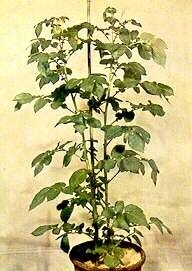 Wilting: Loss of turgor in the cells resulting in the drooping of leaves and young stem and tips. Heart rot:Internal softening and rottening of tissue due to their disintegration. Plants absorb minerals from the soil and translocate them to other parts of the body. Minerals are absorbed in the form of soil solution contained in the pore spaces between the soil particles and the root hair. The soil solution contains the mineral salts in the dissolved state. The movement of ions into the cell is called influx and the movement of ions from the cell to outside is known as efflux. Usually the uptake of mineral ions by the plant cells or tissues involve two main phases. When the movement of mineral ions into the roots occurs by diffusion without any expenditure of energy in the form of ATP it is called Passive Absorption. This form of absorption is not affected by temperature and metabolic inhibitors. 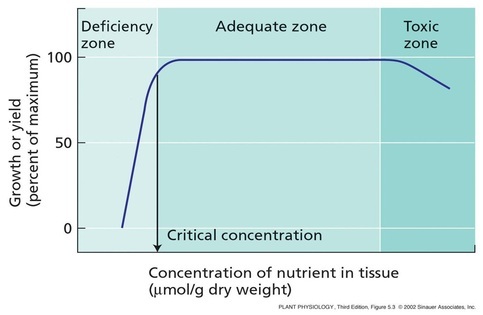 Rapid uptake of ions is observed when a plant tissue in transferred from a medium of low concentration to a medium high concentration. Various theories have been put forward to explain mineral salt uptake by passive absorption. charge from the external medium in which the cells are kept. This mechanism can be explained by two theories. According to this theory ions are transferred from soil particles to root or vice versa without passing into solution. The ions are electrostatically adsorbed to surface of root cells or clay particles and held tightly. These ions oscillate within a small volume of space called oscillation volume. According to this theory the soil solution plays an important role in exchange of ions by providing a medium. 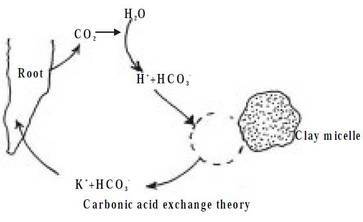 CO2 released during respiration combines with water to form carbonic acid (H2CO3) which dissociates as H+ (Hydrogen ions) and HCO- 3 (bicarbonate ions). A cation adsorbed on clay micelle may be exchanged with the H+ of soil solution and this cation diffuses into the root in exchange for H+ ion. The absorption of ions against the concentration gradient with the expenditure of metabolic energy is called active absorption. 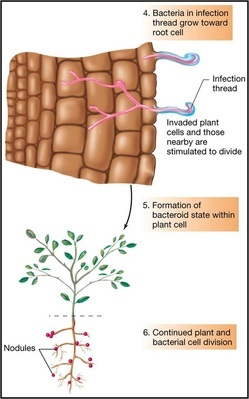 In plants, the vacuolar sap shows accumulation of anions and cations against the concentration gradient which cannot be explained by the theories of passive absorption. The mechanism of active absorption of salts can be explained by several theories. 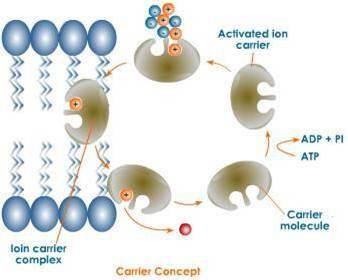 The cell shows the presence of carriers or transporters which are highly specific for a particular ion. The carrier picks up an ion from external medium to form a carrier-ion complex, undergoes rotation at 180 degree, moves across the membrane and releases the ions on the inner side of membrane and returns to pick up another ion. The carrier may be an enzyme or a protein. Metabolic energy (ATP) is expended in this process. Nitrogen is an inert gas which constitutes 78% of the atmosphere. It is an important mineral present in the bodies of living organisms. It forms a component of proteins and amino acids and is also present in nucleic acids, cytochromes, chlorophyll, vitamins, alkaloids and so on. Nitrogen cannot be used directly and is converted to Nitrites, Nitrates and Ammonia by a process called Nitrogen Fixation. 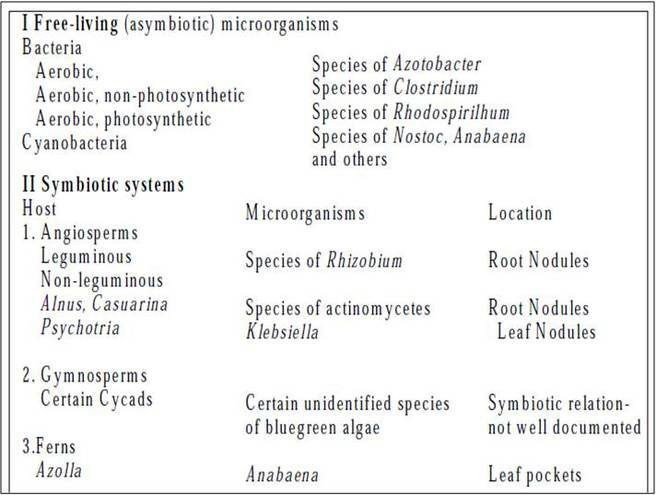 There are many free living organisms like bacteria and blue-green algae which are involved in nitrogen fixation. The ammonia and urea present in the soil are directly absorbed by plants. 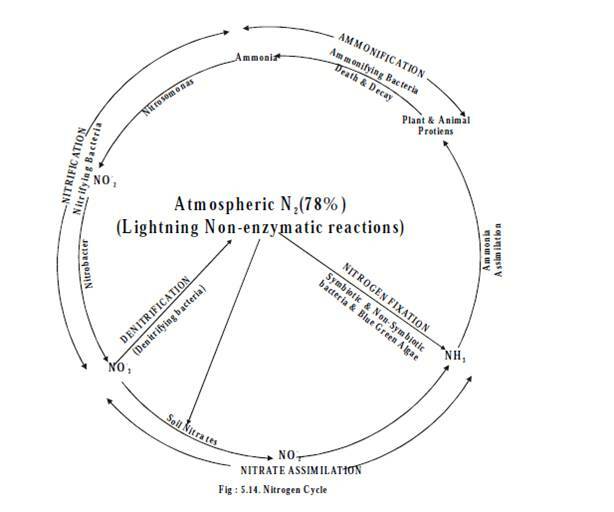 The atmosphere is the source of elemental nitrogen which cannot be used directly by plants. The atmospheric nitrogen is converted to ammonia, nitrite, nitrate or organic nitrogen in the soil. The death and decay of organic systems causes cycling of ammonia from amino acids, purines and pyrimidines. Some of these forms may also be converted to Nitrogen gas and may be cycled back into the atmosphere. The process by which these forms get inter converted to maintain a constant amount of nitrogen in atmosphere, by physical and biological processes is called nitrogen cycle. The cycle includes 5 stages. Conversion of organic nitrogen to ammonium ions by microbes present in the soil is called ammonification. The sources of organic nitrogen in the soil are animal excreta and dead and decaying plant and animal remains which are acted upon by ammonifying saprotrophic bacteria such as Bacillus ramosus, Bacillus vulgaris, certain soil fungi and actinomycetes. Conversion of ammonia to nitrite (NO2 -) and then nitrate (NO3 -) is known as nitrification. Nitrifying bacteria like Nitrosomonas convert ammonia to nitrite and another bacterium called Nitrobacter converts nitrate to nitrate. 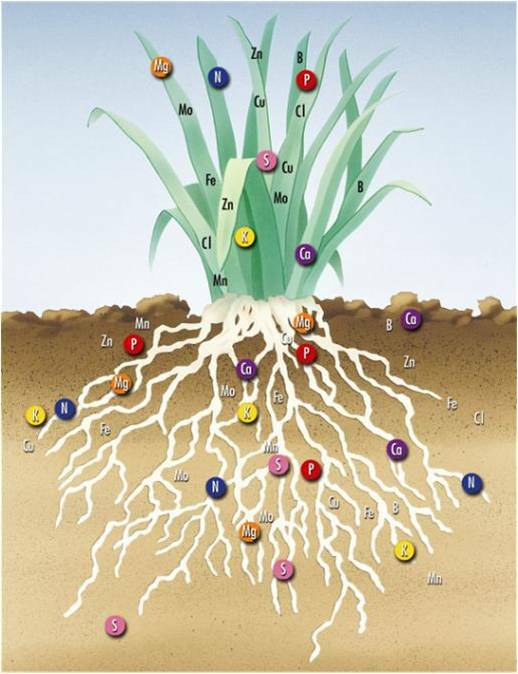 The nitrate present in the soil is absorbed by plants through the root system in the form of NO3 - ions. But it cannot be used by plants directly. So it is first reduced to nitrite by the enzyme nitrate reductase. Nitrite is then converted to Ammonia by the enzyme nitrite reductase. This reduction of Nitrate to Ammonia and its incorporation into cellular proteins by aerobic microorganisms and higher plants is called Nitrate assimilation. The process of conversion of nitrate and nitrite into ammonia, nitrogen gas and nitrous oxide (N2O) is called denitrification. This process ends in the release of gaseous nitrogen into the atmosphere and thus completes the nitrogen cycle. A number of bacteria such as Pseudomonas denitrificans, Bacillus subtilis and Thiobacillus dentrificans are involved in this process. Nitrogen fixation refers to the conversion of elementary dinitrogen into organic form to make it available for plants. Non-Biological or Physical Nitrogen Fixation : This involves fixation of nitrogen by chemical process in industry or naturally by electrical discharges such as lightning. Biological Nitrogen Fixation:Nitrogen fixation taking place by living things is called biological nitrogen fixation. This is the commonest type of symbiotic nitrogen fixation which has been elaborately studied. A soil bacterium called Rhizobium infects roots of leguminous plants (belonging to Family Leguminosae) and forms the root nodules. These are involved in nitrogen fixation. 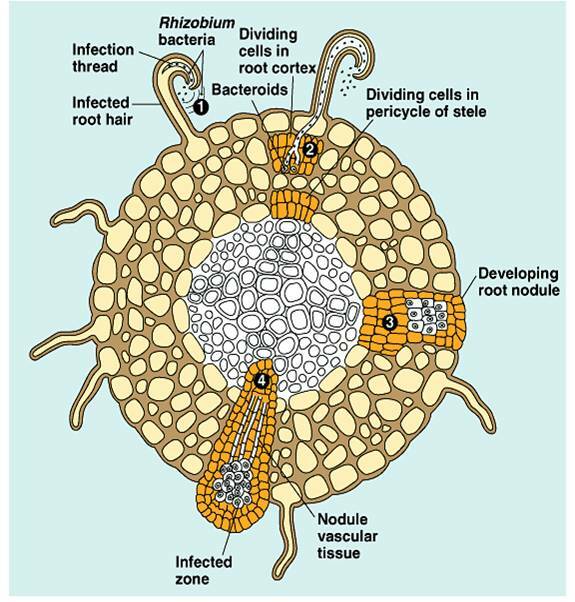 The bacteria living in the soil enter the root hair and penetrate the root cortex through an infection thread. 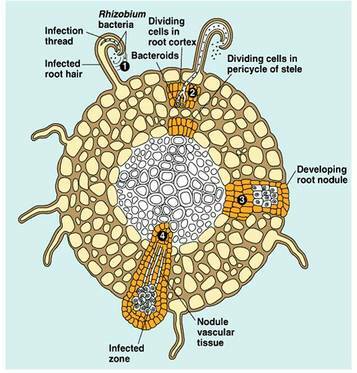 When the bacteria enter the cortical cells of roots, the latter get stimulated to divide vigorously and form nodules on the root. The bacteria come to occupy the nodules, and at this stage lack a rigid cell wall being called bacteroids. These make use of the food substances of the root cells and secrete a pinkish pigment called leg-hemoglobinwhich is an oxygen carrier like hemoglobin. 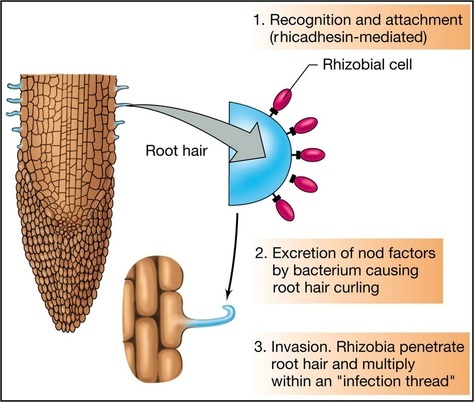 The Rhizobia in the form of bacteroides contain the enzyme nitrogenase which is responsible for fixation of Nitrogen thus benefitting the host plant.Leghemoglobin is supposed to protect the nitrogenase enzyme as it can functiononly under anaerobic conditions. The process can be summarize in following points. Bacteria fix nitrogen which is transferred to plant cells in exchange for fixed carbon.